Before we proceed to the route system, there are some mechanics that you should know. This Visual Novel has Point and Click segments where you move the cursor to interact with your surroundings, it is really easy since the icon that represents the cursor will change depending on what you're trying to interact with (it can change to a moving hand if you're hovering the cursor on a important item), during the prologue and the final route\epilogue the system will change to a more simplistic format where there is a box with multi-selection options that represents certain objects on the scene in question, interacting with the same object multiple times will result in different text, you can also show items to the characters you interact with, BUT, depending on which item you show the character in question can steal the item from you, so beware! The are few choices that you'll make directly (by selecting from a choice box), the majority of them you'll make by going to certain locations at certain times. This walkthrough is intended to give pointers on the decisions to make in order to clear or 100% the game as efficiently as possible (i.e. with as little backtracking as needed). Other important gameplay mechanic is the jewel and Divergence Map\Flowchart system, the jewels are used as "checkpoints" on the flowchart which you use to jump back on the timeline, BUT, they're limited (specially on the beginning where you only have two jewels), if for some reason you lose all your jewels, the map will be disabled and you'll have to explore the paths until you encounter\recover a jewel, this can generate unnecessary stress, so, only use the jewels when they're mentioned on the guide. You can save your game by clicking on the black mirror on the bottom-left corner of the screen (on the Prologue\Epilogue case by selecting "System" and than chosing one of the save options). - Mitsuki\Eriko End: Requires you to have the wooden sword (Beginning of the route, by chosing to answer the telephone on Ayumi's room). - Ayumi\Toyotomi Bad End 1: Requires you two have already unlocked the first branch of this especific path by just playing through it, going through the second time will send you to the Bad End. - To unlock the path that leads you to the [Secret Documents] you need to have the [20th page of documents] acquired; Give the item to Kaori. 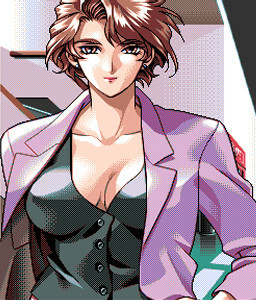 - Ayumi End: Requires you to have acquired [Secret meeting photo] on Bad End 2, and to have finished this path at least one time. - Mio End 1/2: Requires you to have acquired the Silver Medal on Mitsuki\Eriko\Ryuuzouji's route, which requires the Rope, WHICH requires the Golden Key to open the storehouse, WHICH requires you two have found the time loop of the route to unlock an event, WHICH will let you get the rope (and a jewel). - Mio End 3: Requires you to have the [Stone Disk] which is obtained in the path to End 1\2; You need to use the item BEFORE the door closes. - Kaori End: Requires [Blue Card]; Ayumi's End. 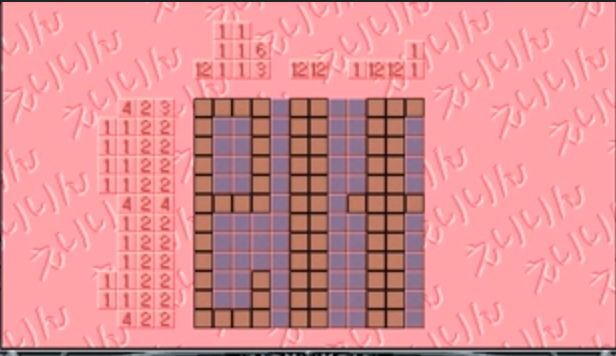 - Kanna End: Requires you to have acquired the Hyper Sense Stone on Kaori's route; Reach End 2 (any variation). - "New World" route requires you to have the eight jewels; Beat Kanna's end (you acquire the [Study Key]). - Happy Ends: Requires Epilogue to be beaten; Use NG+. - Extra Path(s): Requires Epilogue to be beaten; Use NG+. NOTE: You can skip text by pressing CTRL. Which I personally think is the best order in terms of plot progression and understanding (since this was the VN that created the Multiple Route Mystery genre), I also strongly advise getting all endings, since each ending reveals plot details\hints for a better understanding of what is going on (this is also the best order if you don't want to get stuck on the paths 'cause of the lack of a certain item, etc...). Only use a jewel when mentioned in the guide, jewels will be named [Jewel-save #(Number\Name)], steps marked with a "*" are only needed if you care about 100%-ing the game. They're still recommended as even some of the non-essential paths might reveal minor details about the plot (although often they serve no other purpose than to fill up the map). Read the Notes left inside the spoiler boxes. For a better orientation use this flowchart (by TLWiki) with the guide. 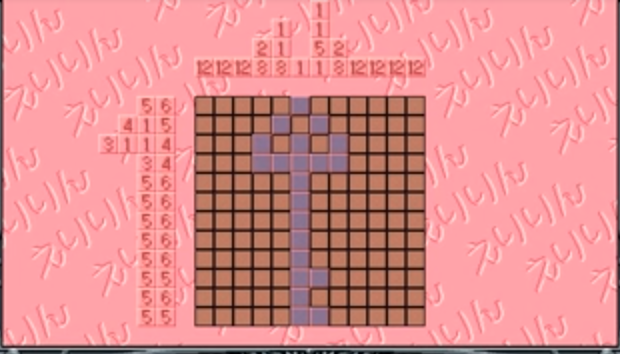 A Puzzle guide is at the bottom of this walkthrough. Pay attention to the intro when you start the game! NOTE 1: The Prologue is Linear. None of the choices you make here matter in the end, so, just keep going until you enter the main game (you'll notice that it's started when the interface changes and becomes point-and-click). NOTE 2: You can still examine stuff that is not indicated bellow for extra text, these are only the necessary steps for you to proceed. Proceed to the Heroine Boxes now. NOTE: This part is always the same in all other routes (except the last one). NOTE: Eriko\Mitsuki Route branches from here. *[Leave Jewel Save #"Telephone Choice"] after talking to Kaori. *Leave [Jewel Save #1A] before going to the mansion entrance. *Load [Jewel Save #1A] and leave [Jewel Save #1B] Immediately after. NOTE:If you already got the "loop" path: Leave right away, don’t touch anything else. If not: Click around until you can leave. *Load [Jewel Save #Storehouse entrance] after the event and leave [Jewel Save #Storehouse entrance] again. *Leave [Jewel Save #Bad End A] before interacting with anything. *Load [Jewel Save #Bad End A] after end. NOTE: You need the [Wooden Sword], if you don't have it, go back and chose to go to Ayumi's room after the Kaori\House Entrance event. *Leave [Jewel Save #Portal (1)] when you reach the Courtyard. NOTE: This path is required if you want to unlock the "Takuya trapped in storehouse event", which will give you a Jewel and the [Rope] item. NOTE: You'll be send back in time to the school hall, click around if you want extra dialog, but, after that, load [Jewel Save #Storehouse entrance]. Click Around until you get locked on the storehouse. *Load [Jewel Save #Storehouse entrance] and leave [Jewel Save #Storehouse entrance] Again! NOTE: Leave right away, don’t click on anything, or you'll be locked on the storehouse. *Load [Jewel Save #Storehouse entrance] after the event and leave [Jewel Save #Storehouse entrance] Again! *Continue until you reach the infirmary again, than load [Jewel Save #Portal (1)], and leave [Jewel Save #End]. Answer at least some correct, then instead of choosing "A Person" as your last choice, chose "A Treasure" for extra flavor text. *Make [Jewel Save #Guard\Mio] before proceeding any further. 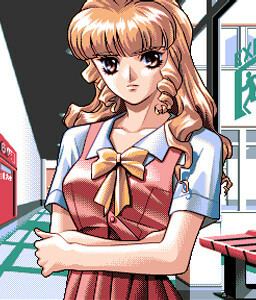 *Load [Jewel Save #Guard\Mio] after reaching the school gate. NOTE: There is a branch here that is only unlocked after beating the True Route. *Leave [Jewel Save #2A] here. *Load [Jewel Save #2A] after going to the coast and leave [Jewel Save #2B]. *Load [Jewel Save #2B] after going to the coast. Leave [Jewel Save #Mio Route] so you can have a shortcut for Mio's route. "I’ll walk Mio back home"
*Load [Jewel Save #Yuuki\Mio] when you reach Mio's bedroom (from this branch you will be sent to the middle of Mio's route, so a lot of context will be lost, DON'T use this branch as a shortcut! ), leave [Jewel Save #Yuuki\Mio] again. "I’ll go in Yuuki’s place"
*Load [Jewel Save #Yuuki\Mio] when you reach the laboratory (from this branch you will be sent to the middle of Mitsuki's route, so a lot of context will be lost, DON'T use this branch as a shortcut! ), leave [Jewel Save #Yuuki\Mio] again. Leave [Jewel Save #Portal (2)] before proceeding. *Load [Jewel Save #Portal (2)] after the event, then leave [Jewel Save #Bad End Ryuuzouji]. NOTE: Requires Portal (2) to be completed first. *Load [Jewel Save #Bad End Ryuuzouji] after end. NOTE: To go through this branch you need [Magnetic Card]. "I wanted to give you these documents"
"Sorry for entering without permission"
*Make [Jewel Save #Hotel+Fail Kaori]. 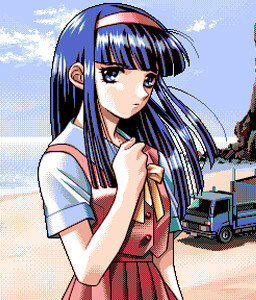 *Load [Jewel Save #Hotel+Fail Kaori] when Kaori leaves. NOTE: To go through this branch you need [20th page of documents]. Create [Jewel Save #Ayumi] before entering the house. Load [Jewel Save #Ayumi] and enter the house. 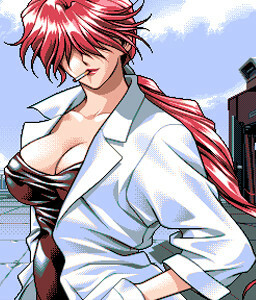 NOTE: You need the [Secret meeting photo] and Bad End 2 to reach this ending. Only available after completing all off the above and the True Route and starting the game using the New Game+. Replay the route, giving the [Secret meeting photo] to Toyotomi, proceed until you reach a choice between the "Normal Route" and "Ayumi End", chose "Enter Ayumi End". NOTE: For further reference see the flowchart. To reach some of her endings, you need two have acquired the [Silver Medal] on Mitsuki\Eriko's route or on a later part of her route. Mio's route also spoils a bit of such, so I recommend playing it after finishing Mitsuki\Eriko. NOTE: For simplicity sake, I will be assuming you played Ayumi's route first and you made [Jewel Save #Mio Route]. If you didn't and still want to go down Mio's route, follow the Ayumi's spoiler box until I ask to make this save (you'll also need the item [Mio's Notebook]). Load [Jewel Save #Mio Route]. *Leave [Jewel Save #4] before proceeding. NOTE: The hall has to be empty for this even to trigger, if it is not, talk to the students and keep movin' from screen to screen until they disappear. Takuya will ask you to make a Jewel Save, MAKE ONE, [Jewel Save #Character]. NOTE: You'll be unable to use the map in this section. 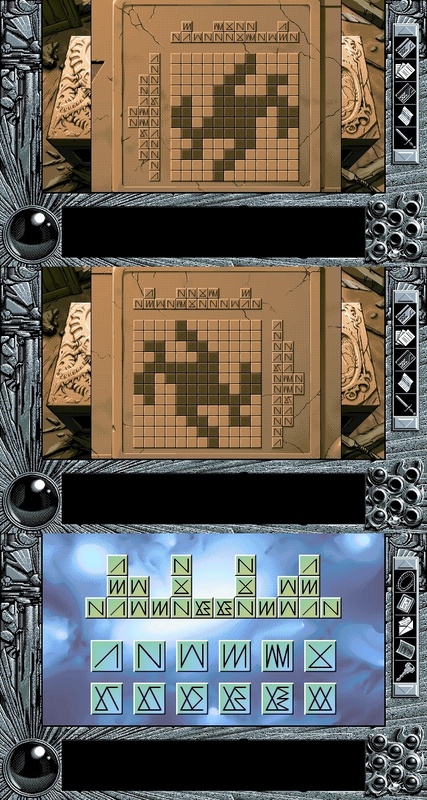 NOTE: After you beat the puzzle one time, you'll never have to re-do it, so just click on the tomb to proceed. NOTE 1: Requires [Silver Medal] for you two proceed to the ends. If for some reason you lose the Silver Medal. NOTE 2: You're now able to use the map again. Make [Jewel Save #End], before exiting! The steps are the same from the Yuuki branch, so follow the Burial Chamber\Underground Lake\Giant Device steps from above, chose "Let Mio go alone" when prompted (you'll need the [Silver Medal] to get through the stone door), this end is not required for map completion (though the path counts to map completion, so if you're only interested on that, proceed until you reach the Burial Chamber then reload [Jewel Save #Extra Branch] and use the Stone Disk on the door before completing the puzzle.) since it counts as the same branch as Yuuki's, BUT, it counts as CG collection (after the True End you'll unlock a CG gallery). *Load [Jewel Save #Extra Branch] when you reach the Burial Chambers. DON'T use the [Silver Medal] yet, go to the Stone gate. 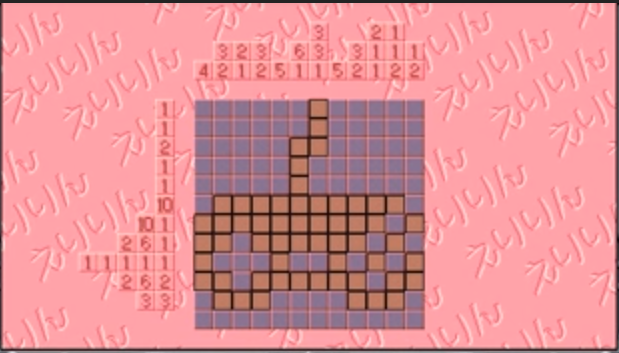 NOTE: No need to re-do the puzzle. Replay the route, chose Mitsuki as your partner to enter the cave, use the Stone Disk, and when prompted chose "Enter Mio End". If you use the stone disk one Yuuki's branch the dialog will be bit different, but, the outcome will be the same. In order to reach Kaori's endings, you need to have beaten Ayumi's end and acquired both the [Blue Card] and the [Magnetic Card], Kanna and Kaori share the same branch for sometime before they split into two "mini-routes". *Leave [Jewel Save #5] before proceeding. *Load [Jewel Save #5] when you hear the bell. *Leave [Jewel Save #6A] here. *Load [Jewel Save #6A] and leave [Jewel Save #6B]. *Load [Jewel Save #6B] when you reach the coast. Leave [Jewel Save #Kanna] here for a shortcut two Kanna's route. *Leave [Jewel Save #Extra Branch 2] here before proceeding any further. *Load [Jewel Save #Extra Branch 2]. *Leave [Jewel Save #Branch Choice] while talking to Kaori on the Heights. *Load [Jewel Save #Branch Choice]. *Leave [Jewel Save #Extra Branch 3A] when Kanna exit the park. *Leave [Jewel Save #Extra Branch 3B] when talking to Kaori on the hotel room. NOTE: For you to get past this point you need to have beaten Ayumi's End and have the [Blue Card]. Leave [Jewel Save #Kaori End] before doing anything! 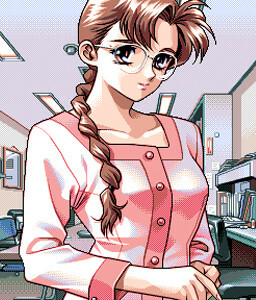 NOTE: For you to get this end, you'll need the [Magnetic Card] from Ayumi's route. Load [Jewel Save #Kaori End]. Make [Jewel Save #Kaori End] again. *Reload the [Jewel Save] until you get all endings. In order to reach her main end, you need to have beaten Kaori's End 2 (Path B) and acquired the [Hypersense Stone]. A lot of events from Kaori's route are copy and pasted into Kanna's route (and vice-versa) so prepare to skip a lot of text (repetition stops when you reach the Café). NOTE: For optimization sake, I'll be assuming that you did Kaori's route first and left [Jewel Save #Kanna] at some point, if you didn't and you still want to go down this path, follow the Kaori spoiler box, until you reach the step where I ask you to create such save. Make [Jewel Save #Kanna End]. Load [Jewel Save #Kanna End]. NOTE: Kaori End 2 (Path B) have to be beaten and you need the item [Hypersense Stone]. Replay Kanna's Route and use the Hypersense Stone to save Kanna, when prompte chose "Enter Kanna End". Requires all eight Jewels, [Father's Letter] & [Study Key] and all main endings. From the main menu, choose “Restart with current map and items”. *Return to the Study, then load [Jewel Save #Study] after the event. After this point the game is pretty linear and it isn’t possible to get stuck. Now that you beat the True End an extra branch will unlock (if you followed all the steps from this guide you should have 99% percent). Start the game again (NG+), go to the study first, then to your own room. The first time you're in the main hall of school the sequence is as follows: infirmary -> lab -> Geo Technics -> study -> main hall -> home -> Geo Technics -> infirmary. You should now have 100%. Now the Music Room will be open (Happy Ends are not needed, BUT, they add extra dialog to the following scene). Restart the game and go directly to school on the first night (from the coast!) for a funny scene and access to the music room. Failing any will send you to a funny game over sequence. This walkthrough is based on info attained on the translator Flowchart and Walkthrough, this VNDB guide and my own experience with the Visual Novel.